By Amanda. Olivia has been OBSESSING over dresses lately. We honestly never put her in dresses or costumes because I was afraid that she would become the crazed child I was when I was little. I used to beg my mom for dresses, and not just any kind of dress, it had to be a "twirly" dress. I knew this day would come where Olivia would start to ask for a dress and become infatuated with them. It was inevitable, and I'm accepting that. 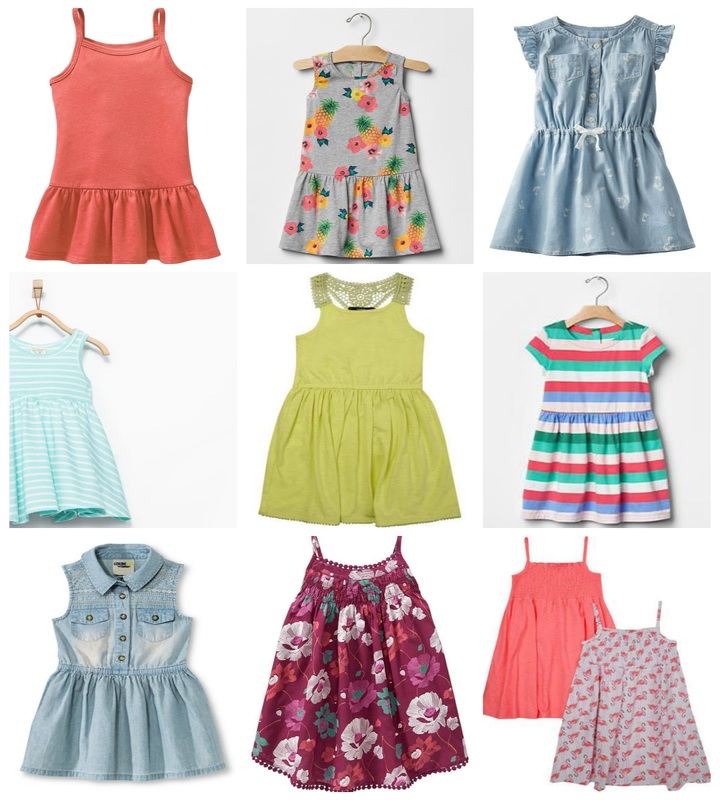 So in honor of her crazy dress obsession - here are a couple of my picks for this summertime weather.